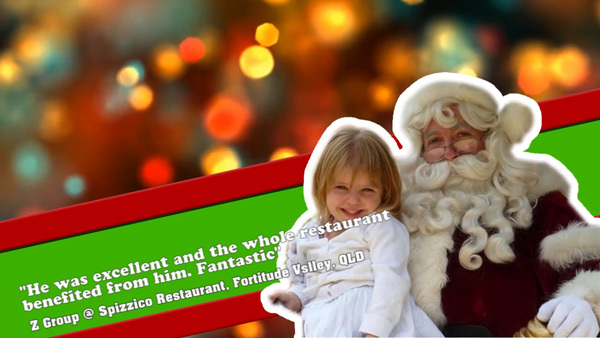 We provide delightfully jolly and truly captivating Christmas excitement to events. The Real Santa not only LOOKS the part, but BECOMES The Real Santa himself! 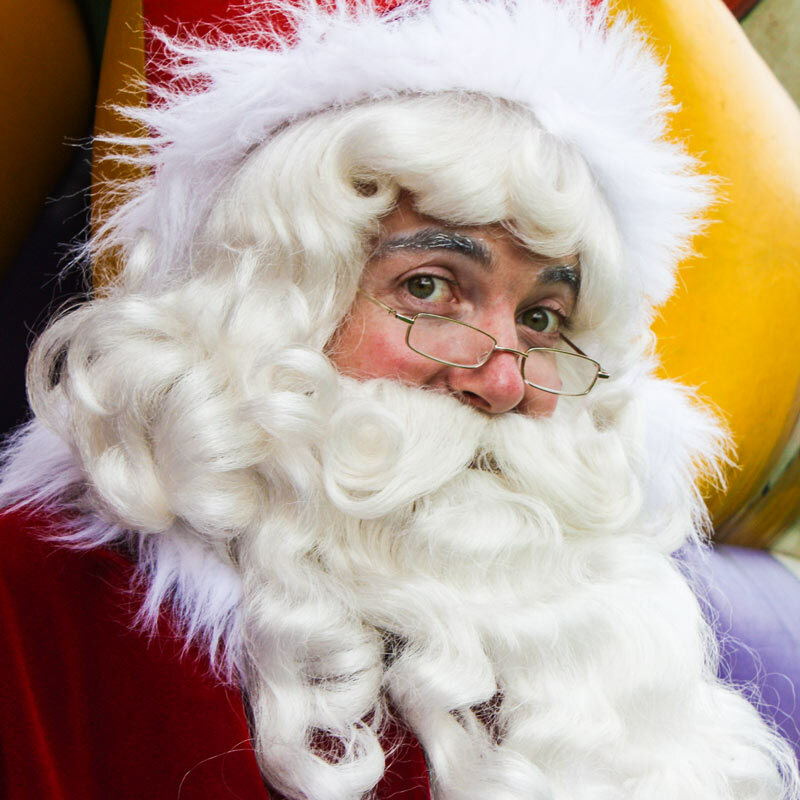 The Real Santa can tailor-make an appearance to fit your event requirements. 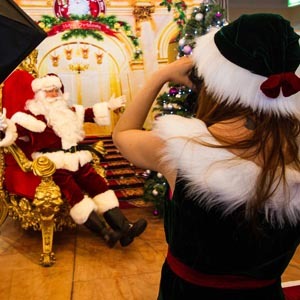 We have performers like The Real Elf, Photographer Elf or Face-painter Elf to accompany The Real Santa. 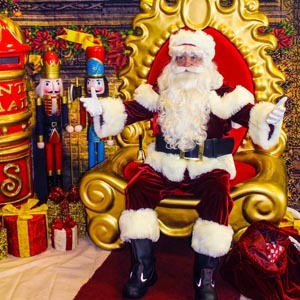 To add to the Christmas atmosphere, we have a wide variety of Props for hire along with ornate Thrones and Photo Backdrops. 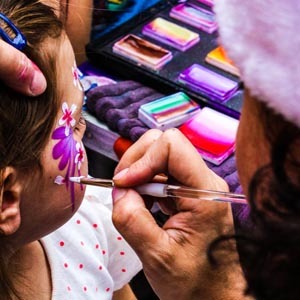 The Real Santa has been supplying Christmas cheer to events since 2007 and we love it – read our Testimonials to see what our clients think. We cater for events in Melbourne, Sydney, Brisbane, Geelong, Gold Coast, Ballarat, Wollongong & Byron Bay. The Real Santa is a random yet logical meld of diverse and unique worlds in Bill Wheatley’s professional life. 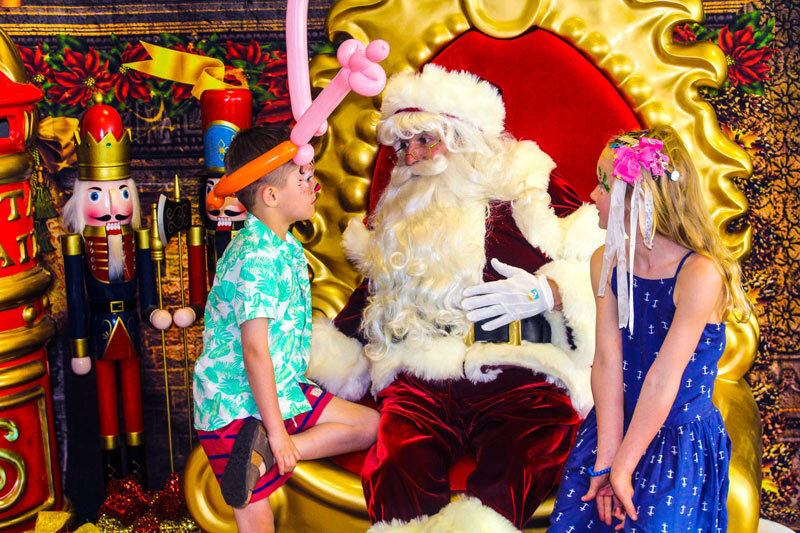 Put together a two decade background in Music Festival & Event Management, performing and operating an award-winning Mobile Disc Jockey business, as well as the calling to study and teach Primary School kids, and what you get is the foundations on which The Real Santa Christmas Entertainment agency was born. 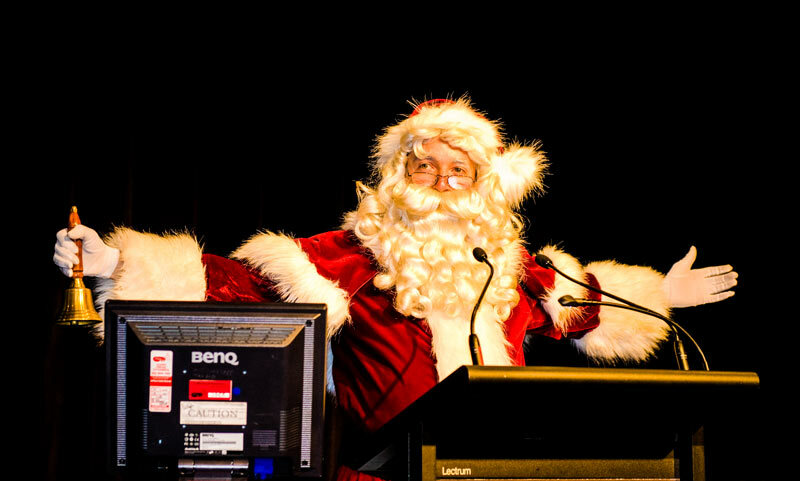 It was while studying Primary Education in Melbourne in 2007 that Bill first performed as Santa. He’d surprised himself as having a little talent in a play that he’d recently performed in at Uni – A Midsummer Nights Dream (he played Bottom!). So when he saw an opportunity to perform as Santa for an Agency he thought he’d give it a go for a bit of fun and to help support his studies. Bill was born with the entrepreneurial streak, so instantly he was thinking about how it could be done differently and well… better! So the following year he carefully planned and commissioned the production of a high quality Santa kit. “I paid a lot of attention to detail in the costume, after much research and trial and error I had a very authentic looking, high quality costume, professionally styled beard and all the bells and whistles. I had a basic website built and I put myself out there for Christmas 2008! Straight away I was getting more bookings than I could handle and I loved performing, plus the admin was great as I was doing it my way and to a standard I was proud of”. So as the demand increased, so too did the number of performers, as well as the props. “The first year was just me, then there were 3 Santas, then 7, 11, 17 and it just grew. 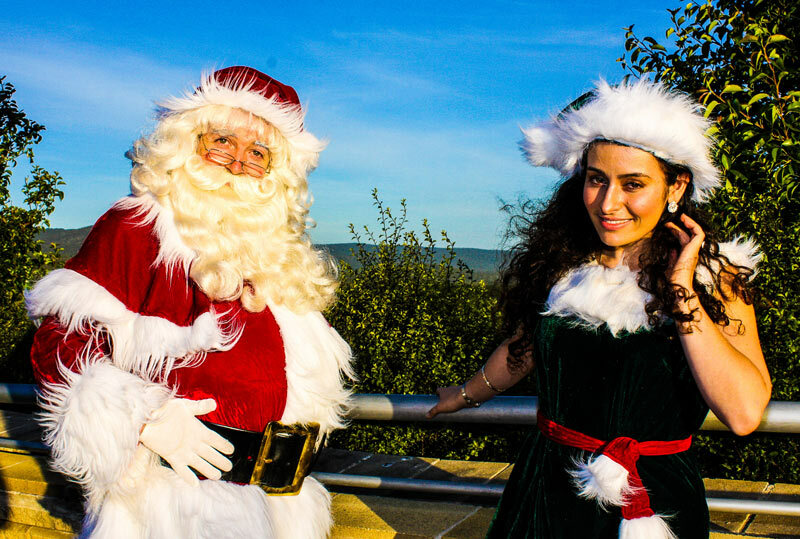 My teaching background assisted me in writing and presenting the Santa & Elf Training workshops, my Event management background enabled me to handle logistics and communicate with a range of stakeholders, including the public, management and entertainers. I also had solid experience in multi task admin, marketing, scheduling and performing”. The business model was quite simple – Pay attention to detail, be as authentic and magical as possible and never break character. And this holds true to the performances to this day – even the office staff are ‘Christmas Elves’. Classic! Bill was enjoying the work, yet for him to commit himself to the career, integrity was important. He felt the Santa character had become more about attracting people to Shopping Centres to buy an abundance of presents. “I wanted to make it less about materialism and commercialism and more about the tradition of giving and spending time with loved ones, the Saint Nicholas way, not the Coca Cola Santa way”. So from as early as they could they were promoting these values and steering conversations with children to more substantial topics than “Santa I want..” and if and when the wish-list was discussed, it was about “how many elves it takes to make one” and “what will you do to help mum and dad around the house to earn that”. And the response has been wonderful. 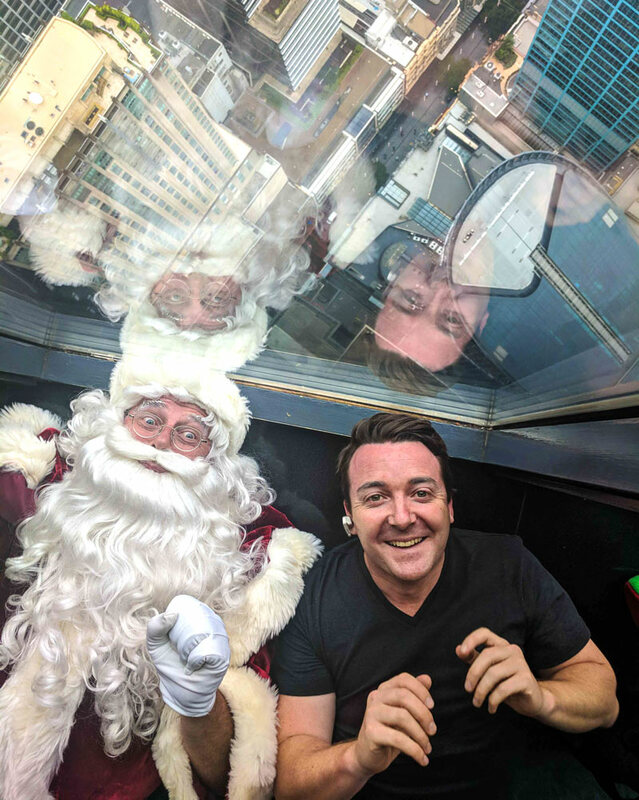 In addition to this subtle social engineering, The Real Santa team put their hands up to help those less fortunate, from performing voluntarily at Charity events, to Climbing the Sydney Harbor Bridge for the Starlight Foundation, appearing at both Sydney & Melbourne Royal Children’s Hospitals, Flying up to visit a remote Indigenous Community in far North Queensland, as well as the highlight of Bill’s life – Volunteering in Uganda. “I was initially inspired to become a Teacher after volunteer teaching in Nepal in 2005, since then, I always wanted to travel to Africa and volunteer there”. In 2015 that dream became a reality, but with greater reward than he ever imagined. In addition to the self-funded 2-month trip to spend time assisting 3 Orphanages and Orphan Schools in Kasese (near the border of Congo), The Real Santa donated $3K and raised a further $2K from the local Melbourne community. “After observing various classrooms and being utterly shocked how under-resourced the schools were and more importantly how under-trained the teachers were, I knew teaching the kids was not going to be enough. Education was the only thing that could free them from this life and it was failing. So the first thing I spent part of the donation on was textbooks for all the teachers – something they simply did not have and something we take completely for granted. The next step was to write and implement a professional development course for the teachers, focusing on creative teaching practices using games, song, sport and competitions. The teaching faculties from each of the 3 schools attended the training, they played, sang, competed and had a great time learning these new skills and I knew this was going to catch on. To this day I hear how the teachers are more interested, engaging and effective in their teaching and not relying solely on book-blackboard, blackboard to book Rote Learning. This was by far the most rewarding experience of my life”. …Teach a class a lesson and they’ll learn for a day, teach a teacher to teach and they’ll learn forever! Bill also sponsors 3 children from one of these orphanages and is currently putting them through boarding high school. So from humble beginnings came ‘The Real Santa’. Now, a decade later there are over 40 performers, 300+ annual bookings across Victoria, New South Wales and Queensland, and the passion within and the reputation from outside is as strong as ever. “I still love it, I still perform as much as possible, I’m still putting smiles on peoples faces, and now more than ever I’m able to use the platform to help those in need. One thing I emphasise in my Santa Training is the fact that Santa is often ‘Revered and Feared’, but, (to quote Stan Lee) “With great power comes great responsibility”.